Newport Hills is a neighborhood of Newcastle and southern Bellevue. Newport Hills is loosely bounded by Lake Washington and I-405 to the west and Coal Creek Park, May Creek Park, and Cougar Mountain on all other sides. Single family homes for sale and apartments in Newport Hills were largely built during the 1960-80's and in the 2000's; there is a wide range of home styles and price ranges to choose from. In addition to the many local parks, recreation can be found at the Golf Club at Newcastle and on the lake. 3 Beds | 1.5 Baths | 1105 sq. Ft.
3 Beds | 1.5 Baths | 1038 sq. Ft.
4 Beds | 2.75 Baths | 2500 sq. Ft.
2 Beds | 1.5 Baths | 987 sq. Ft.
5 Beds | 2.75 Baths | 3080 sq. Ft.
4 Beds | 2.5 Baths | 2800 sq. Ft.
4 Beds | 1.75 Baths | 1850 sq. Ft.
4 Beds | 3 Baths | 2320 sq. Ft.
2 Beds | 2.25 Baths | 1414 sq. Ft.
5 Beds | 4 Baths | 4516 sq. Ft.
4 Beds | 3 Baths | 2700 sq. Ft.
5 Beds | 4 Baths | 3805 sq. Ft.
5 Beds | 4 Baths | 3605 sq. Ft.
Blue Summit Realty has the most accurate and up to date Newport Hills real estate listings on the web. Currently there are 18 homes for sale, 3 condos for sale, and 1 vacant land properties in Newport Hills. Of the 22 total Newport Hills residential listings for sale 0 are bank owned, 0 are short sales, 0 are new construction, and 0 are townhomes. The price ranges from $395,000 to $0 with a median list price of $893,821 and median sold price of $730,366. Make sure to refine your Newport Hills real estate search by property type, price, square footage, bedrooms, bathrooms and more with the search tool above or view the Newport Hills listings on our interactive map. 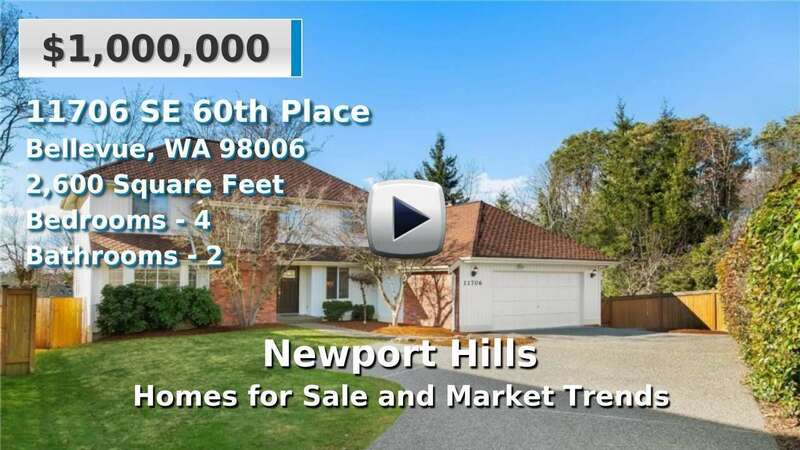 Our Newport Hills real estate listings were updated 09 minutes ago.